When you’re considering participating in a competitive run, proper training beforehand is key. At Arden, Freehold Communities’ new master-planned community in Palm Beach County, there’s no need to pack up your gear and drive anywhere to train. You can train for your next marathon, triathlon or 5K without ever leaving the community! The areas surrounding Arden are full of opportunities to take part in competitive races. 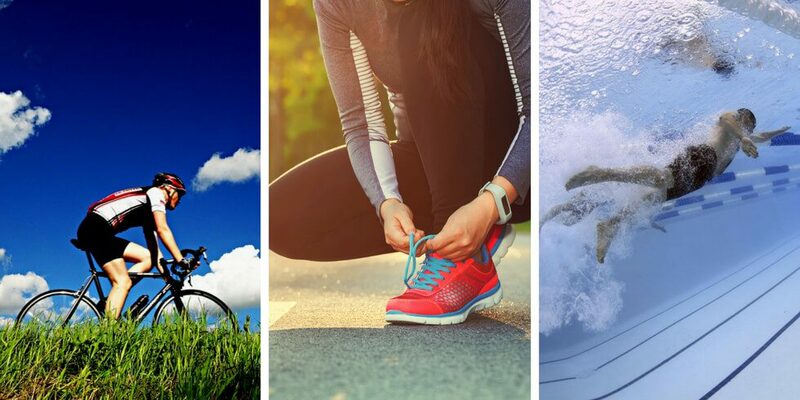 From the Palm Beaches Marathon to the Turtleman Triathlon to Sebastian’s 5K, or even the Sprint National Championships canoe and kayak races, there’s sure to be a race that can become your new personal fitness goal. The earlier you can start training for a race, the better. So, let’s start planning now! Here are a few of the ways you’ll be able to train at Arden to make your goal a reality. A triathlon consists of three different events, typically running, biking and swimming, and requires a unique blend of training. At Arden, residents will be able to train for all three portions just minutes from home. The 20+ miles of trails provide plenty of opportunities to run and bike, and with so many trails to choose from, your training will never get boring. Or, escape the heat or rain and do your running and cycling training indoors at the Fitness Center. The Expresso bikes are perfect for not only building up your endurance, but they also allow you to compete against other people around the world, so you can see how you stack up against the competition. Then head right outside the Fitness Center to the split-level resort-style pool, ideal for swimming laps and working on your strokes. Running a marathon or 5K calls for huge amounts of endurance and stamina, something that can only be acquired through consistent training. More than 20 miles of expertly mapped trails will weave throughout Arden, with plenty of trailheads making it easy to access them from anywhere in the community. With so many miles to choose from, it’s possible to run an entire marathon without ever leaving the community. And for 5K runners, the Arden Lake Loop will become your new favorite, since it’s the perfect distance to run a 5K around while enjoying the lake views and wildlife. If you’re preparing for one of the rowing, canoeing or kayaking races in the area, you’ll still be able to work on your training right here in Arden. With a kayak launch located next to the Clubhouse, you won’t even need to pack up and haul your gear to the nearest river entrance. The Arden Lake Blueway aquatic trail is a 3.6-mile loop along the outer edge of Arden Lake, with a park along the water’s edge providing the perfect place to land your kayak or canoe for a breather and to refuel before heading back out onto the water. Arden is a community built around the health and wellness of its residents. Interested in learning more? Join our Founders Club to always stay up-to-date on this new community.